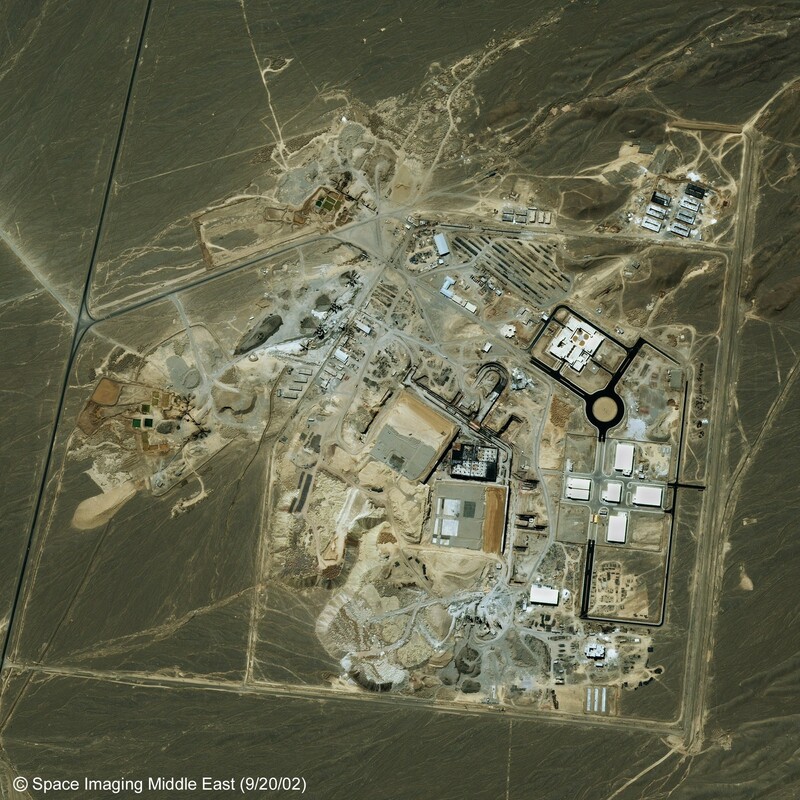 A previously clandestine underground uranium enrichment facility revealed by the National Council of Resistance of Iran (NCRI) in August 2002, and whose existence was acknowledged by Iran in February 2003; part of Iran’s gas centrifuge enrichment program; facility consists of a Pilot Fuel Enrichment Plant (PFEP) and a commercial-scale Fuel Enrichment Plant (FEP); construction on both facilities began in 2001; enrichment research and development activities were moved from Kalaye Electric Company to Natanz in 2003; first visited by inspectors from the International Atomic Energy Agency (IAEA) in February 2003; reportedly began using domestically mined, milled, and converted uranium as feedstock in November 2008. Centrifuges based on an early European design, allegedly Urenco design information stolen by Pakistan in the 1970s and provided to Iran by the A.Q. Khan procurement network; facility currently operates IR-1 (P-1) centrifuges and has more advanced models installed; inverters used to drive these centrifuges operate at frequencies of approximately 1,000 Hz; the P-1 is allegedly based on the CNOR and SNOR centrifuge models; the CNOR model reportedly has a throughput of about 3 SWU/year; IR-1 throughput has achieved less than a third of this output. Centrifuge enrichment plant for the production of low-enriched uranium (LEU) enriched up to 5% U-235; first brought into operation in February 2007; had produced 11,767 kg of up to 5% U-235 through May 2014; divided into two cascade halls (Production Hall A and Production Hall B); reportedly, each cascade hall is approximately 160 meters by 170 meters; Production Hall A is designed to contain up to approximately 25,000 centrifuges in 144 cascades, divided among eight units; as of June 2014, one unit contained IR-2m centrifuges (1,008 machines), five units contain IR-1 centrifuges (15,420 machines), and the other two units do not contain any centrifuges. Research and development facility and pilot low enriched uranium (LEU) production facility; first brought into operation in October 2003; cascade hall accommodates six centrifuge cascades; cascades 1 and 6 (164 centrifuges each) designated for the production of UF6 enriched up to 20% U-235; production of 20% U-235 began in February 2010 and was suspended in January 2014, by which date 202 kg of this material had been produced; cascades 2, 3, 4, and 5 designated for research and development, and contain IR-1, IR-2m, IR-4, IR-5, and IR-6 centrifuges (as of May 2014); as of May 2014, cascade 2 contained one IR-1 centrifuge, 13 IR-4 centrifuges, one IR-5 centrifuge, and nine IR-6 centrifuges; cascade 3 contained 14 IR-1 centrifuges and ten IR-2m centrifuges; cascade 4 contained 164 IR-4 centrifuges; and cascade 5 contained 162 IR-2m centrifuges.